The title for the fourth Avengers film won't be revealed until audiences are made fully aware of Avengers: Infinity War's events. 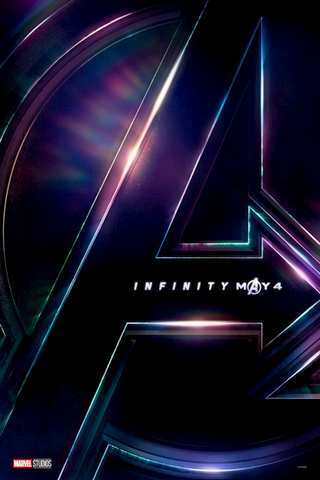 The title, which was originally dubbed Avengers: Infinity War Part II, has previously been said to be a spoiler for the upcoming films if leaked early. Now, the directing duo behind the films, the Russo Brothers, have now spoken about the title. "It is certainly part of the concept of the title is that it's advancing the narrative," Joe Russo told MTV's Happy Sad Confused podcast. "We're gonna sit on that until we feel the time is right and when people have absorbed the first movie enough." Immediately, fans of the Avengers franchise who have spotted the potentially spoiler-ridden set photos which have popped up online will suspect the title of implying time travel. Anthony Russo says he is a "big fan of the technique" but those photos might not have been what they seemed. "It's interesting because photos always leak and there's lots of conjecture about what those photos mean," Joe Russo added. "Certainly, there is a five minute sequence in Civil War around a piece of technology that was laid in for a very specific reason. If you go back and look at that film, you may get a hint as to the direction." Whatever the title may be, the upcoming pair of Avengers films promise to be one of the most epic set of sequels in cinematic histories, if only for their gargantuan qualities. "An unprecedented cinematic journey ten years in the making and spanning the entire Marvel Cinematic Universe, Marvel Studios' Avengers: Infinity War brings to the screen the ultimate, deadliest showdown of all time," the upcoming film's synopsis reads. "The Avengers and their Super Hero allies must willing to sacrifice it all in an attempt to defeat the power of Thanos before his blitz of devastation and ruin puts an end to the universe."